In continuation of our last post, we’ve decided to give you some fun alternative ideas to the traditional bachelorette party locations. If you’re looking to do more than drink and eat at a bar, club, or restaurant to celebrate, then we have a range of ideas that will fit every interest for your big night out. Reconnect with nature and all of your closest friends by taking a camping trip. Grab some tents, marshmallows, and a bottle of wine to enjoy by an open fire. If you want an upgrade from the customary nylon tents, then try glamping instead. 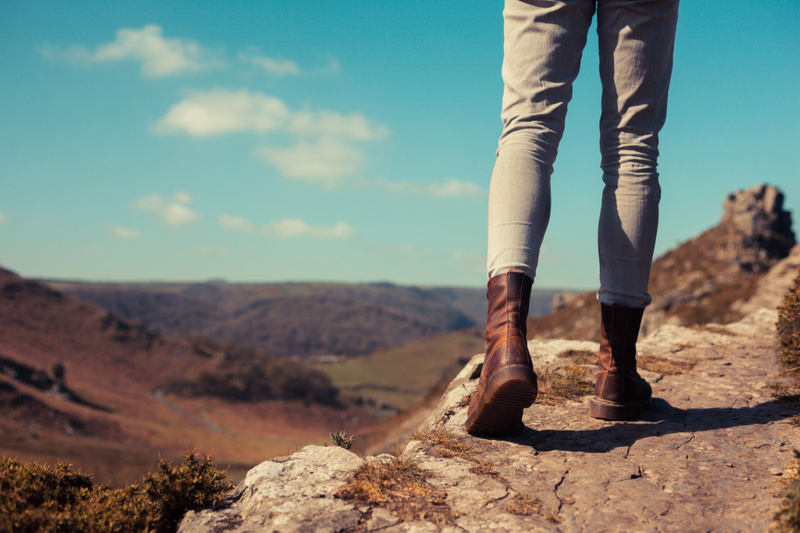 You can benefit from the countryside while still having the comforts of home. Planning a wedding can be stressful, so why not unwind at an eco-friendly spa or resort. Pamper yourself with natural facials, body wraps, and massages. If you don’t want to shell out for one of these locations, then have a simple spa night at home. 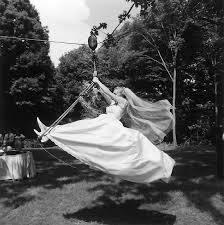 You can also combine the Olympics or another team sport such as football with the groom’s bachelor party. Try having the bachelors vs. the bachelorettes or mix the teams up. Get team uniforms and even assign some of the wedding party to be cheerleaders. Who doesn’t love to drink punch in a grass skirt? 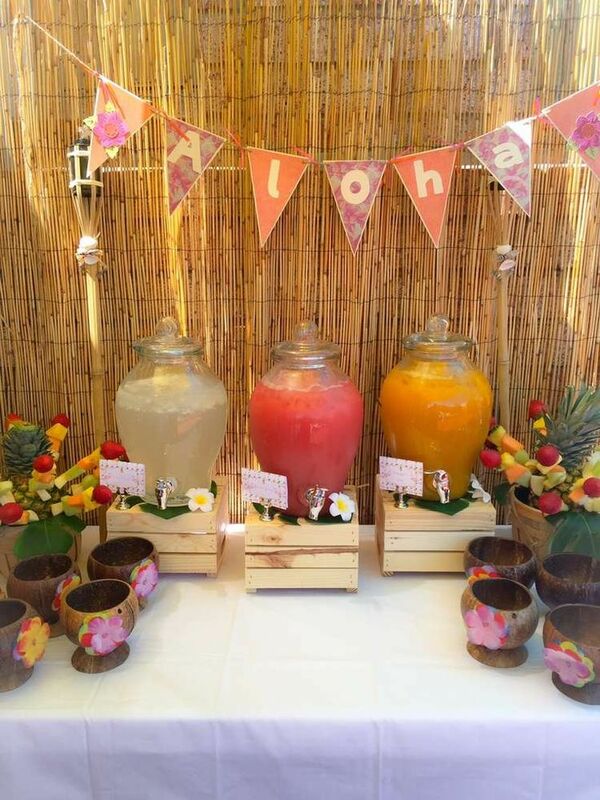 Transform your backyard or home into the perfect luau complete with a DIY tiki bar. Add in some tiki torches and leis for a festive touch. You can also have your ladies design their own coconut shell bras. Head up to your favorite ski resort or explore a new spot with your crew. Snuggle up by the fire with some hot cocoa and enjoy the beautiful mountain scenery. Take a dive with your closet friends and explore the ocean. You can enjoy the beach afterwards and even learn about the local sea life. If you’re not near an ocean, then you can always take a snorkeling or scuba diving class. If you’re looking to try something new, then take surf lessons at the beach. You can use these skills on your honeymoon to show off to your new partner. Paddle boarding is also an exciting option that requires strength and balance that you can do in any body of water. Paddle alongside your bachelorettes for some exercise disguised as fun. Find a nearby trail and spend the day gliding through the woods or along the beach. You can make pit stops for food along the way and end your journey watching the sunset over a drink. Pick a small mountain to hike that everyone in your party would feel comfortable with and conquer it together. Make sure you bring a camera and a lot of snacks to get you through the day. If climbing a mountain isn’t for you, then try a rock wall. 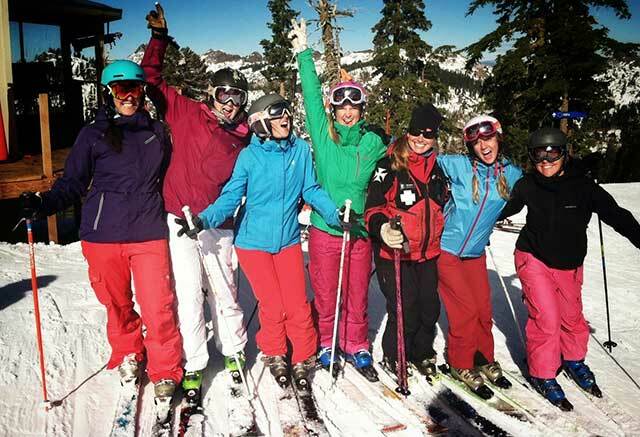 Spend the day reaching new heights alongside your favorite girlfriends. 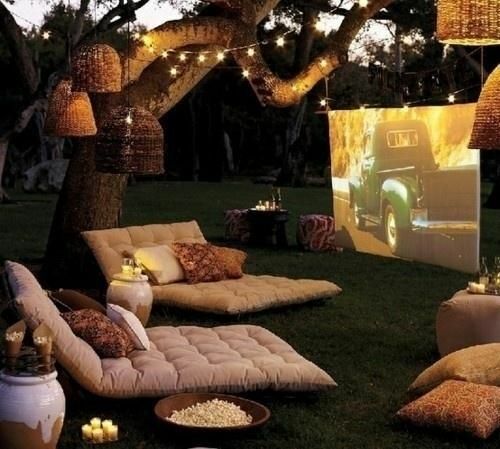 Watch your favorite film or a new one under the stars. Borrow or rent a projector and set up a makeshift screen in your backyard. Set up a popcorn and snack stand, so you can munch along to the movie. Gather your bachelorettes, some courage, and head to a zip line park. You can spend the day flying around treetops and getting your adrenaline pumping. Create a list of objects to find and actions to complete for your party to complete by the end of the night. Take a selfie with a celebrity look alike or dance in the middle of a restaurant. Your scavenger hunt will surely create some laughs and memories for a lifetime. 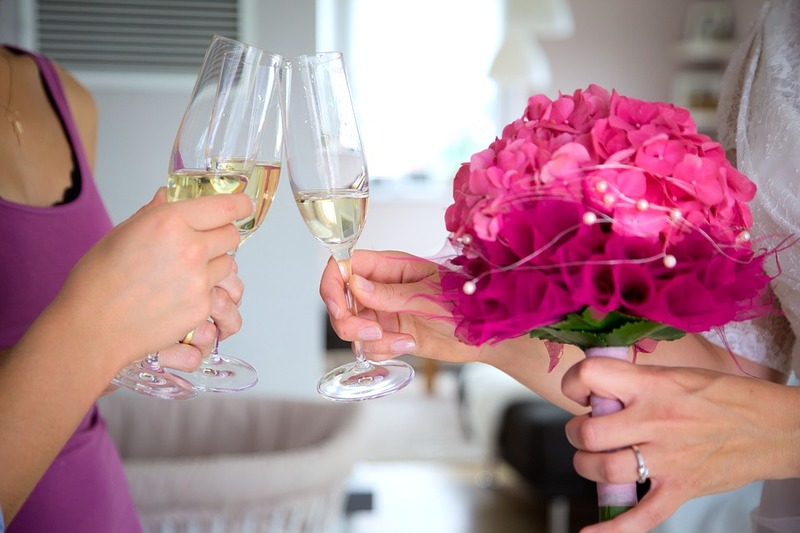 If there is a charity or cause close to your heart, then share this with your bridal party. Spend the day giving back to the community at a pet shelter, cleaning up local parks, or volunteering your time to a good cause. 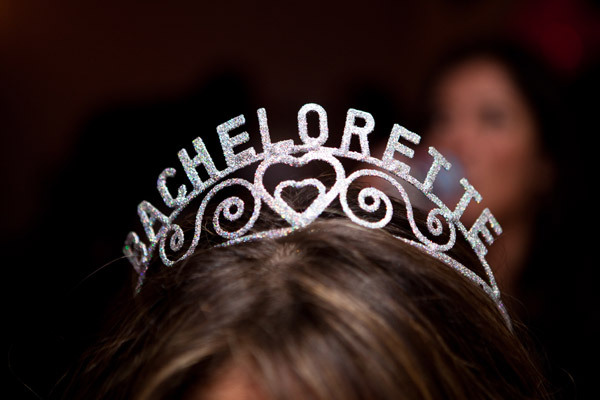 You can also plan your bachelorette party to be on the same day as a charity walk or race. Try to get sponsored, so you can donate as much as possible to the organization. 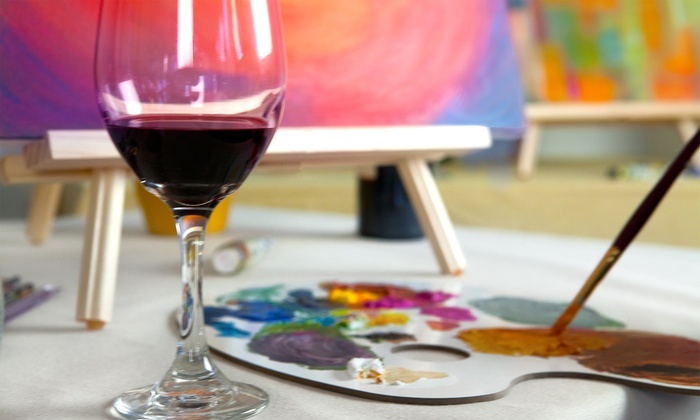 Head out to a studio or have an instructor come to your house for a paint and sip night. You can create beautiful artwork, while enjoying a glass of wine or organic cocktail with your friends. While a night on the town for a traditional bachelorette party can be fun, there are many unique alternatives that you and your ladies are sure to love. 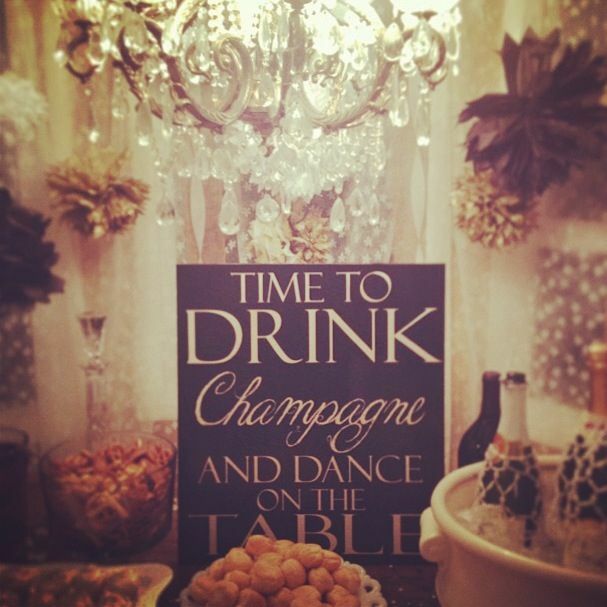 Explore some of the activities we’ve listed above or head to Pinterest for different parties like a Great Gatsby, Beyonce, or Harry Potter theme. You can always start the day with an obstacle course or skiing, and then finish it out with an intimate dinner.